This baby goat really, really loves his mom. A recent video shows the bouncy baby clambering on top of mom every chance he gets. Goats are extremely curious and intelligent. They are also very coordinated and widely known for their ability to climb and hold their balance in the most precarious places. This makes them the only ruminant able to climb trees, although the tree generally has to be on somewhat of an angle. Due to their agility and inquisitiveness, they are notorious for escaping their pens by testing fences and enclosures, either intentionally or simply because they are handy to climb on. 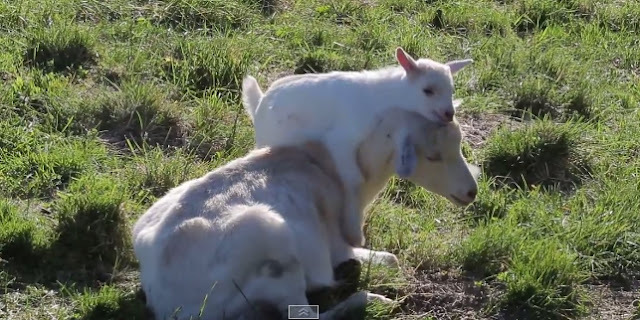 Responses to "Cutest Baby Goat Loves Mom So Much He Can't Stop Hugging Her "